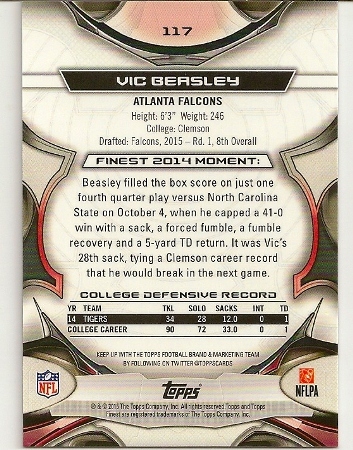 2015 Topps Finest Refractor Vic Beasley Rookie Card Numbered To 250. 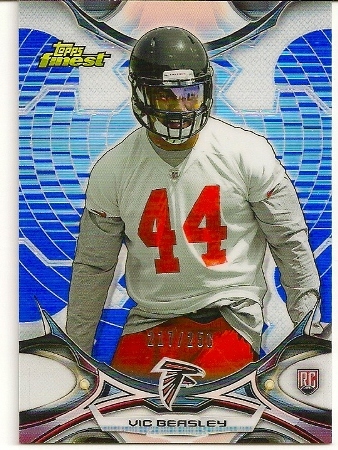 Atlanta Falcons. 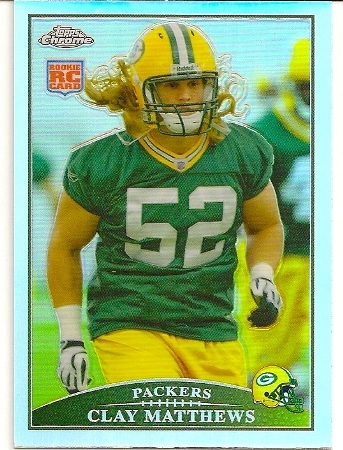 2009 Topps Chrome Refractor Clay Matthews Rookie Card. Green Bay Packers. 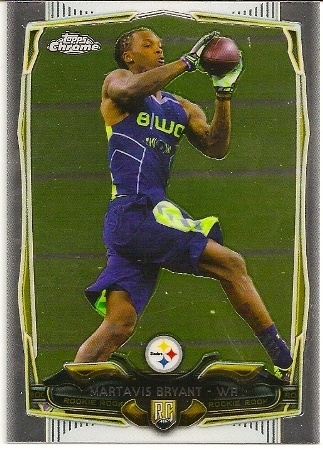 Martavis Bryant 2014 Topps Chrome Rookie Card. Pittsburgh Steelers. 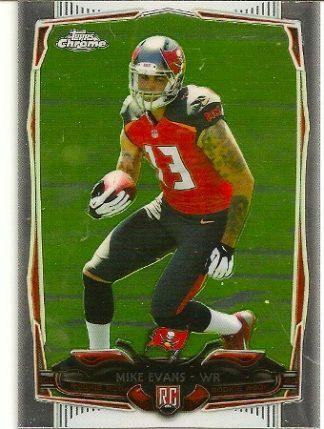 2014 Topps Chrome Mike Evans Rookie Card. 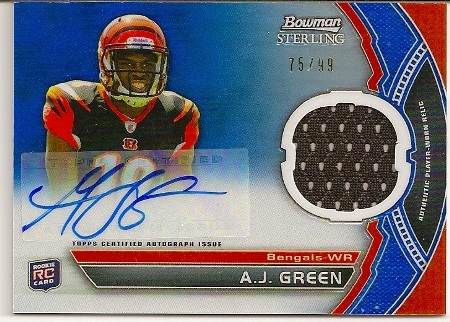 Tampa Bay Buccaneers. 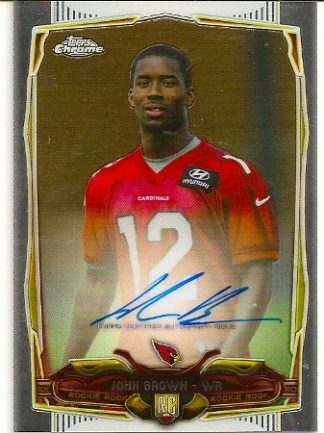 2014 Topps Chrome Autograph John Brown Rookie Card. Arizona Cardinals. 2014 Topps Chrome Khalil Mack Rookie Card. 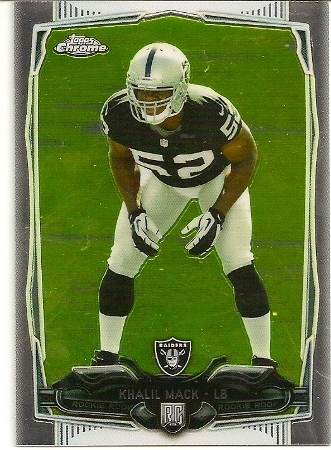 Oakland Raiders. 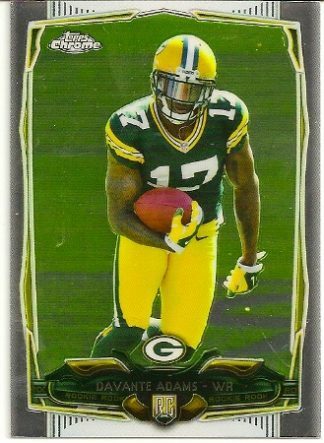 2014 Topps Chrome Davante Adams Rookie Card. Green Bay Packers. 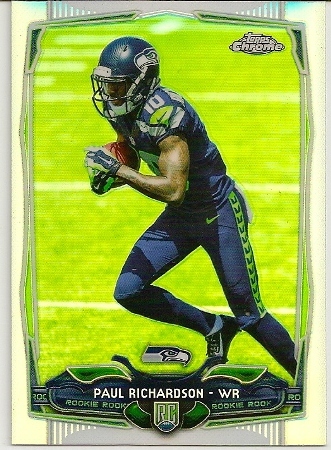 Paul Richardson 2014 Topps Chrome Rookie Card. 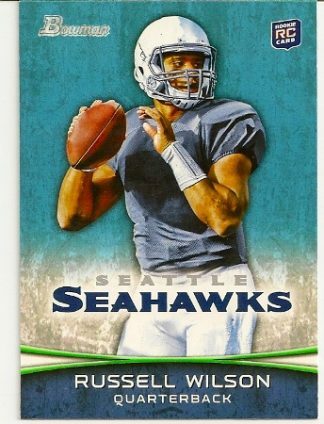 Seattle Seahawks. 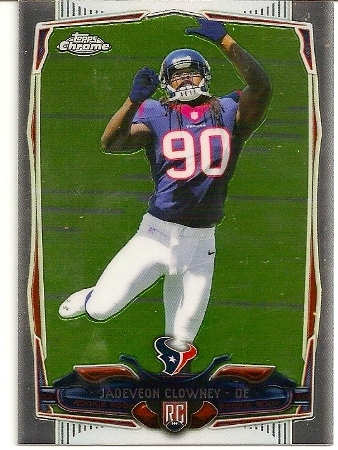 2014 Topps Chrome Jadeveon Clowney Rookie Card. Houston Texans. Paul Richardson 2014 Topps Chrome Refractor Rookie Card. 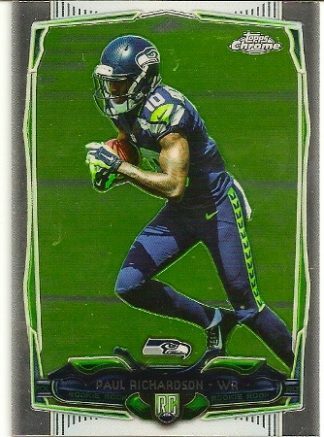 Seattle Seahawks. 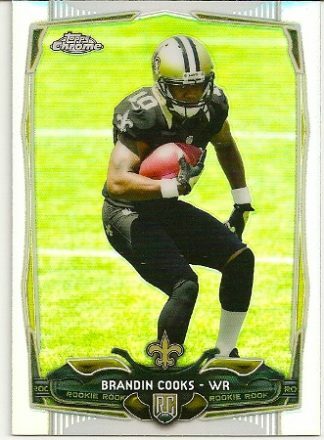 2014 Topps Chrome Refractor Brandin Cooks Rookie Card. New Orleans Saints. 2014 Topps Chrome Autograph Devonta Freeman Rookie Card. 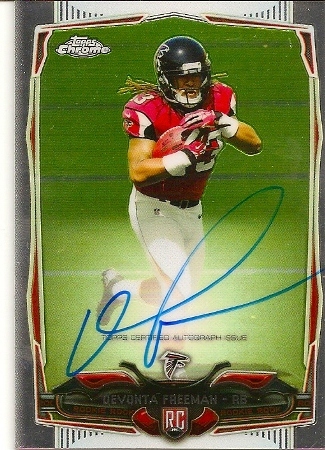 Atlanta Falcons. 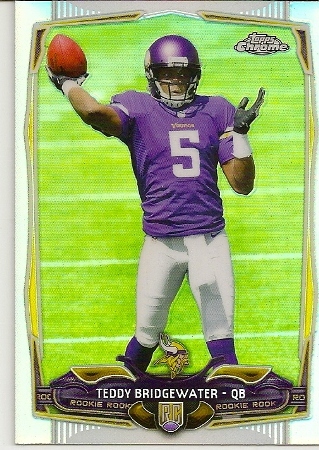 2014 Topps Chrome Refractor Teddy Bridgewater Rookie Card. Minnesota Vikings. Paul Richardson 2014 Topps Chrome Pink Refractor Rookie Card Numbered To 399. Seattle Seahawks.